Lynn states: this Bible verse is on a coffee cup given to me by a dear friend and is one of my favorites. The cup has morning glories and a beautiful hummingbird on it. It is a reminder to thank God every day that we belong to him through good times and bad. I also thank him daily for the CUC Class and all of the help given to us. Thank you also to Nancy Wistrand and Wanda Taylor who took and shared with us great pictures of our 2018 CUC Retreat. A huge thank you to Doug Tatom who provides technical support to our audio and video production in our CUC class each Sunday. Doug also has developed and maintains our CUC Website which has a wealth of information about CUC. Didn’t receive the CUC email newsletter? Sue sends out the Newsletter by email, normally during the morning, every Friday. So, usually the current Newsletter is posted on the website by noon or no later than 2 p.m. that day. Don’t want to have to go to website to view the Newsletter? You will now receive every post (Newsletter) in a nice formatted email. This will double your chances of receiving the Newsletter by email! Please join us for fun, fellowship and great food at the CUC Christmas Party, Monday, December 3 from 6 to 10 pm at the Metropolitan Club, 5895 Windward Parkway, Alpharetta, Georgia. $39 per person, cash or check. Please make checks payable to CUC with Christmas Party on the memo line. A cash bar will be available. If you have any questions please contact MariAnna Brown or a member of the social committee. Each of the four Sundays in November a Christmas basket will circulate during class to accept cash and checks. Approximately 130 young people will benefit from our generosity. CUC is following a suggestion from Murphy Harpst that “CUC could provide a smaller denomination of cash or gift card for every child ($10-$20).” In early December the church will send a check for the total amount collected saying that the donation is from the CUC Class for young people celebrating Christmas at Murphy-Harpst. Checks should be made out to RUMC with CUC Murphy-Harpst Christmas on the notation line. Teenagers receiving gift cards will be able to shop for themselves! Thank you, class, for your generosity. Questions? Contact Betty or Larry Hunt. It is Operation Christmas Child Shoe Box time when we help fill boxes with gifts for children in impoverished countries around the world through Samaritans Purse. Thank you for your great response to all of you who already brought in your filled shoeboxes. This Sunday, Nov 18 is The Collection Day. If you have not already let me know that you donated or filled an online box, thank you and let me know the number to add to the count.We are hoping for a good response to make many children happy as they learn if the love of Christ in the story of receiving a gift filled box. The annual Pecan Sale began Oct. 28, and the deadline to buy or order is November 18th. This supports the Boy Scouts, missionaries, MUST Ministries, and other Discovery Sunday School missions and outreach efforts. You can order online at rumc.com/pecans or pick up a form in the main office, Chapel building. Orders will be available for pick up Oct. 28-Dec. 9 in the main office Sundays from 8:30 a.m.-12:30 p.m. and Mondays-Thursdays from 8 a.m.- 4:30 p.m.
On Thanksgiving Day, Thursday, Nov. 22, RUMC opens doors, shares hospitality, and gives thanks with those living in our ministry partner communities by providing an open meal in the RUMC Fellowship Hall. Mark your calendar! December 14 is the annual open house at the Nancy & Johnie Wright’s. 6:00-11 PM. All proceeds realized from the sale of items at the RUMC Mission Booth at City Antiques are designated for missions. All proceeds realized from the October and November sales will be designated to the RUMC hurricane relief effort. Gale and Roger Davis – Nov 23, 1961– 57 years! We also welcome back Mary Serafina after her long absence as she cared for her daughter Pam. Our speaker this Sunday is Dr. Wilfred Boayue. Wilfred and Stella have been members of CUC for a number of years but Wilfred spends a considerable amount of time in Liberia, where he was born. He is currently serving as Commissioner for Program and Policy – National AIDS Commission of Liberia. Wilfred also serves as Chairman of the Board of Health – Liberia Annual Conference of the United Methodist Church. We look forward to getting caught up on Wilfred and Stella’s activities. Wednesday, November 14th at 9:00 AM is planned for a CUC trip to the Booth Western Art Museum in Cartersville to see the Frederic Remington exhibit. Experience the biggest Remington exhibit ever in the South, with treasures from the Frederic Remington Art Museum and beyond. We will tour the museum and have lunch. Contact Patsy Lanham for more information. Those members of CUC who have gone through times when they needed a lift have known that CUC cared and were aware that they were missing from our midst. Thanks goes to Betty Williams(now deceased), Peggy Rodway, Gloria Stadler, and now Patsy Lanham who have written encouraging letters to absent CUC members as part of our Cares and Concerns Committee. Thank you. The CUC Class will help residents at Murphy-Harpst celebrate Christmas again in 2018. On the four Sundays in November a basket will be passed to receive donations of checks made out to CUC with CUC Murphy-Harpst Christmas on the notation line. Teenagers receiving gift cards will be able to shop for themselves! Thank you, class, for your generosity. Questions? Contact Betty or Larry Hunt. Operation Christmas Child Shoe Boxes are now available—Please help fill boxes with gifts for children in impoverished countries around the world through Samaritans Purse. The annual Pecan Sale began Oct. 28, and supports the Boy Scouts, Missions, MUST Ministries, and other Discovery Sunday School missions and outreach efforts. The pecans will be available to purchase in our CUC classroom between 9:00 and 9:30 this Sunday or order online at rumc.com/pecans or pick up a form in the main office, Chapel building. During the week of November 11 a team of 6 members of RUMC will visit the Manuel Bonilla School that this church sponsors for the graduation celebration. During the week of November 11 a team of 6 members of RUMC will visit the Manuel Bonilla School that RUMC sponsors and participate in a grand graduation celebration of 18 9th grade students, 12 6th grade students and 11 kindergartners. We will honor these students with our presence and gifts. You all will remember that nearly 4 years ago RUMC began a partnerships with Lunches for Learning, Inc to sponsor the lunch program at this school with the CUC and Berean Classes being the dominant supporters of this program. At the time 6th grade was the highest level of education that any of these students could achieve. This coming week as a result of our efforts 18 of the 6th grade graduates in 2015 will graduate from 9th grade and will continue on to 10th grade. Since then we have had about 10 mission trips, helping the community and the school. This past year we completed a wonderful new middle school building that is to be used for both middle and high school in separate daily sessions. We have also built a kitchen for this community and we are planning to begin work on a medical clinic and a trade school that will be used for multiple impoverished communities near this campus. In 2017 and 2018 we engaged the youth department and had 3 youth lead mission trips with youth and parents of youth. One of our own family, Allison Phelps, (daughter of John and Claudia Phelps), last year spent an entire month teaching these students English and she plans to return again next summer. As a result of your support and participation the impact on this community is immeasurable and the impact on so many new participants from RUMC in this mission has been powerful. Several families have joined together to sponsor another school and new impassioned mission leaders have emerged. In addition, CUC and Bereans classes have been faithful in supporting the “Hearts for Honduras” fundraiser which is where administrative support for the organization is secured. The results is that over these last few years God has truly blessed the work of Lunches For Learning (L4L) providing funding that has now made it financially secure and has allowed for a growth in the number of schools and students being served. God has brought to the organization a powerful Board of Directors, an impassioned Executive Director who carries a name we all know well, Phil Dodson (Son of Malone & Charlotte Dodson) as well as a staff that is now prepared to increase the reach of schools and students in 2019 by approximately 10-15%. Please know that your support is changing lives both in Honduras and with those who now serve. Mark your calendar! December 14 is the annual open house at the Nancy & Johnie Wright’s. 6:00-11 PM. Please bring finger type appetizer or dessert to share. Carpool if possible and park on sidewalk side of street only. You can help by donating collectibles, seasonal items, small furniture, and china. Drop off your donations at the RUMC front office. The booth is in City Antiques, which is located at 700 Holcomb Bridge Road. Marlene and Don MacLeod – Nov 16, 1962 – 56 years ! Remember this: Whoever sows sparingly will also reap sparingly, and whoever sows generously will also reap generously. Each of you should give what you have decided in your heart to give not reluctantly or under compulsion, for God loves a cheerful giver. Daylight Savings time ends this Saturday night. Be sure to set your clocks back unless you want to be extra early for CUC. Our lesson this Sunday will be presented by Debbie Goodwin. The title is “Five Prayers That Changed My Life”. She will support each of the prayers with specific scripture. We look forward to being blessed and challenged by Debbie’s lesson. Seventy seven CUC members have enjoyed a wonderful retreat at Winshape Retreat Center on the Berry College campus this week in spite of less than perfect weather. Thanks especially to Roger and Gale Davis for making all the arrangements and leading the retreat, Rev. Jeff Ross and Rev. Tom Davis for presenting the program, Bonnie White for leading the music, Doug Tatom for video production, and Martha Knight for arranging for communion. This Sunday, November 4 is Consecration Sunday. Please pray about your commitment to give to support the mission and ministry of RUMC in 2019. Bring your pledge card with you to worship or you can also make your commitment online at rumc.com/pledge. Price of pecans: single bag – $9.00, 3 bags $25.00, case of 30 -$240.00. Deadline for orders is Sunday, Nov. 18. Orders will be available for pick up Oct. 28-Dec. 9 in the main office Sundays from 8:30 a.m.-12:30 p.m. and Mondays-Thursdays from 8 a.m.- 4:30 p.m.
Virginia and Stan Thomason – Nov 5, 1960 – 58 years! Sara & Paul Beecham – Nov 8, 1958 – 60 years !! The Lord is my light and my salvation, whom shall I fear? The Lord is the strength of my life, of whom (or what) shall I be afraid? This week’s Bible verse is a favorite of Dal Zierk. He writes: When I was in grade 8 and being confirmed, my aunt and sponsor could not attend my confirmation because she lived too far away. But, she sent me a letter and stated how meaningful her Bible verse (Psalms 27:1) was to her and she knew that my Bible verse would be just as meaningful to me. Of the thousands of verses in the Bible, guess which verse the pastor chose randomly for me…Psalms 27:1. To me that was a miracle and the verse has been very impactful throughout my life. In fact, I say it to myself at least once every single day. Welcome Our New CUC Member ! Session 3 What are we called to build? For those who are not going to the retreat and who have not already seen this show, don’t miss it. It is great fun! Seniors Enriched Living (SEL) is hosting “Senior Trip with Cheryl Rogers” on Tuesday, Oct. 30th at 12:15 in the DOD gym. This music and comedy show reminds us all to celebrate 55+ Boomer and Beyond life! Tickets are $5 and can be purchased through SEL. 770-587-3750. Consider attending the last of four round-table discussions on Tuesday evenings in October at 6:30 in the RUMC Dining room. Oct. 30 The Next Right Step – a panel discussion. BBQ in the Burbs will be held on Sunday, October 28 from 2:00-6:00 pm on The Grounds at Roswell City Hall. This family friendly event includes amazing BBQ, music, kid’s zone, games and raffles. This event supports Homestretch proudly serving our community for 25 years. Get your tickets at https://homestretch.org/events/roswell-bbq-in-the-burbs/. The annual Pecan Sale begins Oct. 28, and supports the Boy Scouts, MUST Ministries, and other Discovery Sunday School missions and outreach efforts. Order online at rumc.com/pecans or pick up a form in the main office, Chapel building. Deadline for orders is Sunday, Nov. 18. Orders will be available for pick up Oct. 28-Dec. 9 in the main office Sundays from 8:30 a.m.-12:30 p.m. and Mondays-Thursdays from 8 a.m.-4:30 p.m.
CUC members, please continue to benefit Murphy-Harpst On Campus School when you shop at a Publix Supermarket. Using your computer, sign up for a Publix.com account. Information about signing up for a Publix account is available in the CUC classroom every Sunday. At the store remember to enter your phone number in the credit card scanner BEFORE the cashier totals the charge of your purchase. WNO is cancelled for next Wednesday, October 31. This week’s Bible verse is one of Roger Davis’ favorites. Our teacher this Sunday is Rusty Gordon. Rusty has taught our class on a number of occasions. He has amused us and challenged us each time he is with us. We look forward to what he has to say this Sunday. Rusty’s lesson title is “Yo Mama and em”. His scripture reference is the second chapter of John. All room reservations are now final and we are committed for all those who put down a deposit. If someone is interested in attending but has not made a reservation, please contact us immediately, and we will contact Winshape to determine if rooms are available. If you are interested in the tour of Martha Berry’s home, Oak Hill and Museum near the campus let us know. Check the website at http://www.berry.edu/oakhill/. If there is sufficient advance interest we may be able to get a tour guide for the group. Tickets are $7.00. Saturday, October 20th:  Great Day of Service! Service Projects will include Rise Against Hunger, Venezuela Now! Food and Medicine Crate, RUMC Street Grace team, Prayer Quilt Ministry, and RUMC Outreach Choir. Bring your family, friends and neighbors to join us. Please visit www.rumc.com/gds for information on times and locations. Consider attending the last two of four round-table discussions on Tuesday evenings in October at 6:30 in the RUMC Dining room. Oct. 30: The Next Right Step – a panel discussion. All proceeds realized from the sale of items at the RUMC Mission Booth at City Antiques are designated for missions. All proceeds realized from the October and November sales will be designated to the RUMC hurricane relief effort. You can help by donating collectibles, seasonal items, small furniture, and china. Drop off your donations at the RUMC front office. The booth is in City Antiques, which is located at 700 Holcomb Bridge Road. Babs and Shaw Skillings – Oct 22, 1966 – 52 years! Jackie Hubbard – has had her 3rd right knee replacement. Please pray for this to be successful. Gale Earman and Diana Frei, former CUC members, need our prayers. Diana was diagnosed with lymphoma about three years ago. It has not gone well. She has had to have her spleen removed and part of her left lung. She has broken both hips and is wheel chair bound. She is also suffering from dementia. Gale is her sole caregiver and is understandably exhausted. They are receiving support from their church, but prayers, cards and notes would be uplifting. Peggy Rodway requests prayers for the family and friends of Larry Crisler, her brother-in-law, who passed away Thursday. Pray for Mary Serafina and her daughter Pam Pruit as Pam continues her fight with cancer. Mary says they feel our CUC love and prayers wrapped around them. Pastor Andrew Brunson is back home in the United States. Pray for Terry and Wanda Taylor’s son Kent who remains in his ministry at Pastor Brunson’s church. The Bible verse of the week is from Gale Davis. It is one of her favorite verses. Our RUMC Interim Director of Worship Arts, Dr. Jerry Ulrich, will be our CUC speaker this Sunday. We are thankful for our CUC refreshments each week. This Sunday they will be provided by Patricia Mashburn and Pat Stamps. Due to an unforeseen cancellation and our negotiations with Winshape, we do have rooms available. If you have not signed up and would like to attend please contact us immediately. If you are interested in the tour of Martha Berry’s home, Oak Hill and Museum near the campus let us know. Check the website at www.berry.edu/oakhill/. If there is sufficient advance interest we may be able to get a tour guide for the group. Tickets are $7.00. Let us know of your interest by Tuesday. The CUC Retreat at WinShape Conference Center, October 31 – November 2, 2018 is rapidly approaching. We want to keep you informed as we move toward the date. Arrival time is 3:00 -5:00 pm on Wednesday, October 31. We will gather in the meeting room at 5:30pm for a briefing before going to dinner at 6:00pm. The first session will begin at 7:45 pm. Our speakers and their sessions are set. Jeff Ross will be with us Wednesday evening to start the retreat. Tom Davis will lead the morning session on Thursday, then Jeff will lead the sessions Thursday evening and Friday morning ending with Communion. Please join us for fun, fellowship and great food at the CUC Christmas Party, Monday, December 3 from 6 to 10 pm at the Metropolitan Club, 5895 Windward Parkway, Alpharetta, Georgia. $39 per person, cash or check. Please make checks payable to CUC with Christmas Party on the memo line. A cash bar will be available. If you have any questions please contact MariAnna Brown or a member of the social committee. Venezuela’s economic collapse has resulted in medicine being unavailable or in extremely short supply along with severe food shortages that leave most people living on one meal a day. RUMC, through Venezuela Now! will send a crate of medicine and food to the Wesley Medical Center in Cabudare, Venezuela. These simple specific medications are not available to the average citizen and especially the poor. The specific food items are exactly the ingredients that go into a hearty soup. MariAnna Brown is putting a plastic container in our CUC class for these items this Sunday. The Michael O’Neal Singers open their 30th Anniversary concert season with I Hear America Singing, this Sunday at 3 p.m at RUMC. Drawing inspiration from American poet Walt Whitman, this program celebrates the vitality, variety, and optimism of America which is reflected through the creative endeavor of all its people. Including choral classics, folk songs, and spirituals, I Hear America Singing reminds us that patriotism at its core consists of both pride of country and a mutual respect for each other. The Children’s Ministry is in desperate need of some more volunteers for the Fall Festival. They’re looking for some help passing out information/concessions, helping direct children at carnival games, etc. BBQ in the Burbs will be held on Sunday, October 28 from 2:00-6:00 on The Grounds at Roswell City Hall. This family friendly event includes amazing BBQ, music, kid’s zone, games and raffles. This event supports Homestretch proudly serving our community for 25 years. Get your tickets at https://homestretch.org/events/roswell-bbq-in-the-burbs/. You can go to Publix.com/partners to be registered to Murphy Harpst as your tag will no longer work. The new system will only require you to give your phone number at checkout, but you must set up your account with Publix. Every fall many of the members of the Piedmont Division of the National Model Railroad Association open their model railroads to the public. Jim Boswell’s heart surgery was a success. Pray for his continued recovery. They are back in Georgia and Jim is doing well. Prayers have been answered! Pray for Mary Serafina and her daughter Pam Pruit as Pam continues her fight against liver cancer. Mary says they feel our CUC love and prayers wrapped around them. Pastor Andrew Brunson has been released by the Turkish courts. He has left Turkey and is expected to return to the US this Saturday (9-13-2018)! Our CUC Bible verse of the week, words of Jesus, of love and of self-discipline, is a favorite of George Martin. Mark Goodwin will be teaching our lesson Sunday. His topic is “Identity Theft”. He will be using multiple scriptures to talk about our identity in Christ and Satan’s attempt to steal our identity. Mark and Debbie, in the short time they have been with us, have become very active participants is CUC and other RUMC ministries. We look forward to his lesson. We welcome Nancy Spence as our newest CUC member. Nancy has been a member of RUMC since 1966. It is good to see to Wilfred and Stella Boayue at CUC again as Wilfred is back from Liberia for 4 months. Please mark your calendars and be ready to have lots of fun, good food, and enjoy great company! The annual CUC Christmas Party will be Monday, December 3, at the Metropolitan Club in Alpharetta. More information will be announced later. Herb Roasted Bone-in Chicken, Mashed Potatoes, Vegetable Medley, Tomato Bisque, Yeast Rolls, Salad Bar, Peach Cobbler. Consider attending all four or choose what is most applicable to you of four round -table discussions on Tuesday evenings in October at 6:30 in the RUMC Dining room. Jim Hettinger, Mike Shetler, “Sevenfold,” and the RUMC Praise Choir in a concert of favorite sacred music. Selections will include “His Eye Is On the Sparrow,” “Holy, Holy, Holy,” and “This Is Me.” Tickets are not needed for this concert. On Oct. 1 Publix is changing how its customers contribute to charities such as Murphy Harpst (which has received $109,995 from Publix so far this year). Your tag will no longer work. The new system will only require you to give your phone number at checkout but you must set up your account with Publix. Information was passed out in class on Sunday. See Larry Hunt for full information. Jim Boswell’s heart surgery was successfully completed on Monday. He is now in a regular room. He even has a dedicated person that stays with him which is a part of the hospital program. The family was very pleased with the surgeon. Family members have been coming and going so Linda feels well taken care of. Jim will probably be in the hospital another 5-7 days then remain in Cleveland for observation for another week. They appreciate the cards they have received. The address for them is: InterContinental Suites Hotel, 8800 Euclid Avenue, Cleveland, Ohio 44106. Prayers have been effective – Keep them up! Virginia Hardy had a bad fall in the RUMC Columbarium. Pray for a quick recovery from her injuries. Jackie Hubbard – had her 3rd right knee replacement on last Wednesday, September 26th. Please pray for this to be successful. Marlene MacLeod has been suffering with a severe case of shingles since August 24. The shingles are subsiding now, but the pain remains constant. Pray for relief of pain. Janet Thomas’ daughter in law was diagnosed with Wegener‘s in August. It attacked her lungs and kidneys and spent some time in ICU. She is on dialysis and chemo. It’s very scary for the whole family because they don’t know what is going to happen. She might have to get a kidney transplant if the chemo or dialysis doesn’t work. Please pray for all who are suffering with these diseases. Our CUC Bible verse of the week, Psalm 33:20-22, is Malone Dodson’s favorite. Our speaker this Sunday is Marion Brown, Associate Pastor for Missions. Marion’s topic is “How do you say it? She will also be sharing her story so that we can get to know her better. We look forward to Marion being with us. The CUC Endowment Distribution committee met to distribute $3,210.70 in funds from the RUMC Foundation. Thank you for your donations to RUMC Foundation for the CUC Endowment. It allows us to support church projects as well as missions. CUC received a thank you from Phil Dodson for our contribution to Lunches For Learning. “Books to the People” will be on Wednesday, September 26, 5-6:30 PM in the Fellowship Hall during Wednesday Night Out. This is a great time to look over new book selections from the RUMC library which is located in the RUMC parlor. Come check out the books and join other CUC members for dinner at WNO. Many of our CUC members are involved two Monday nights each month in our RUMC Job Networking program. If you are interested in helping with this active program contact Bob Schnackenberg . Linda & Jim Boswell as Jim has open heart surgery to replace his tricuspid valve at Cleveland Clinic on Monday, September 24. . He will be in the hospital for about 10 days after surgery, and they will remain in Cleveland for a few more. They are tentatively scheduled to come home on October 6. Linda says they feel very blessed to have this opportunity, to know they have your thoughts and prayers. Latest news from Linda: Jim, Lisa, and I arrived in Cleveland last night (Wednesday Night). Lots of tests all day. In spare time, Jim got 6000 flood buckets and lids donated and delivery arranged. Will have more tests tomorrow, and enter the hospital on Saturday. All is well. Thanks For thoughts and prayers. Jackie Hubbard – will have her 3rd right knee replacement on September 26th. Please pray for this to be successful. Johnie Wright’s mother, Wilma Diemer, fell Wednesday on her front porch and was having full hip replacement surgery Thursday afternoon in Cookeville, Tn. She is 89 years old. Received today from Sandy Martin: I received an urgent email just now from our daughter, Jennie. She has friends who have a 9 year old son, Clinton Goode, who had a serious bike accident Tuesday. He is in ICU at Children’s Healthcare of Atlanta with extensive internal injuries to organs including his pancreas. They are attempting a stent to the pancreas tomorrow. Clinton needs a miracle and I KNOW they happen. I am asking all you prayer warriors and anyone you may know to pray for this child. If you are in a prayer group, could you please add his name? 18 I have seen personally what is the only beneficial and appropriate course of action for people: to eat and drink, and find enjoyment in all their hard work on earth during the few days of their life which God has given them, for this is their reward. 19 To every man whom God has given wealth, and possessions, he has also given him the ability to eat from them, to receive his reward and to find enjoyment in his toil; these things are the gift of God. 20 For he does not think much about the fleeting days of his life because God keeps him preoccupied with the joy he derives from his activity. The speaker this Sunday will be Bob Fletcher. He is one of CUC favorite guest speakers. His talk will be from Mark, chapters 8-10, titled “Spiritual Blindness”. CUC’s 2018-19 class president Sara Beecham is inviting class members to send a favorite Bible verse and a brief remark for our newsletter each week. Do you like to sing? For the Prime Time Singers, RUMC’s Senior Adult Choir under the direction of Tom Alterman, no experience or audition is necessary. PTS rehearses on Wednesday mornings in the choir room beginning September 5 through May from 10:45 -12 noon for a fun-filled time of rehearsal and fellowship. The choir sings for the First Sunday Communion Services, Senior Adult Activities, and at venues in the community. CUC has been a big supporter of Homestretch since its very beginning. Our own Malone Dodson was an original founder of Homestretch 25 years ago when he saw the need in our community for housing for families who were homeless. Red Bird Christian School has National Honor Society inductees, not only in high school but also junior high. More than 2/3rds of the students continue their studies in universities or colleges beyond Appalachia. During the years since 1921, this school has gained the reputation as one of the best academic institutions in the mountains and beyond. Red Bird Christian Schools has been recognized by UMC’s Global Ministries Board and given Advance placement because of the institution’s goal of providing career and college preparation, spiritual growth and Christian Leadership Development. John Sharp – for quick recovery from kidney surgery and already back to CUC class on Sunday. Pastor Andrew Brunson is still on house arrest in Turkey while the U.S. imposes sanctions on Turkey, demanding his release. Please pray for his release soon, or at the scheduled hearing October 12. Terry and Wanda Taylor’s son Kent is Andrew’s partner in ministry. Pray for Mary Serafina and her daughter Pam Pruit as Pam continues chemo. He leadeth me beside the still waters. He restoreth my soul: he leadeth me in the paths of righteousness for his name’s sake. Yea, though I walk through the valley of the shadow of death, I will fear no evil: for thou art with me; thy rod and thy staff they comfort me. Our own Roger Davis will be teaching CUC this Sunday The topic is “Four Principles for Daily Living”. Roger always has a good message for us. The scripture reference is Romans 8:28-38. Thanks especially to Tom Knight for his leadership this past year as Sara Beecham takes over as our new president. Of 15 families, 14 graduated. All are full-time employed and in permanent housing. Two of their kids are off to college, one an honor graduate with a full scholarship to Stanford University. Why Could Red Bird Christian School Use 2nd Language Textbooks? Recently Norma and David Hills took clothing, books etc. to Red Bird Missions including 2nd language textbooks. UM Churches and volunteers with their money, labor, and materials renovated Red Bird’s two old dorms so a Residential Program could be offered. The 2 dorms house 24 students and each dorm has its own dorm parents. Internationals attending the Residential Programs live in these dorms and concentrate on the skills of learning a new language: grammar, reading writing, vocabulary, listening and speaking. Their goals are to attend a college or university. That’s how the 2nd language textbooks are used. To facilitate their spiritual growth, they participate in daily devotions, weekly chapel services, Sat. leadership training and 2 Bible Study courses during their high school career. John Sharp – for quick recovery from kidney surgery. Pat (Mrs.) Cooney who has had multiple myeloma recurrence with fractured vertebra. Keep her and her husband Pat in your prayers. Gloria and Jack Stadler – Sept. 4, 1954 – 64 years! Dr Jim McCormick.. will be our Teacher this Sunday. Retired Methodist Pastor, Rev. Dr. James McCormick is the author of five books including: Welcome Home, Tell It Like It Can Be, Marriage Is For Adults, Does It Look and Sound Like Jesus? and The Gospel Goes to Broadway. He is a contributor to the Upper Room Disciplines and 1992 Abingdon Preaching Annual and 1993 Abingdon Preaching Annual. McCormick formerly served as an Adjunct Professor at the School of Theology at Claremont and Fuller Theological Seminary. Jim is one of our CUC all time favorite teachers. We look forward to his teaching us again this Sunday. Did you know there are 24 international students at Red Bird? Student objectives are to seek a closer relationship to the Lord, develop Christian leadership skills, and foster a spirit of service. Focus is on 7-11th graders wanting to attend a university in the US. Sunday, August 26 at 4 p.m. in the fellowship hall for a music and comedy show ”Senior Trip” with our own Cheryl Rogers celebrating the 55+ crowd. It is entertainment with a mission based on the fact that gray matters! 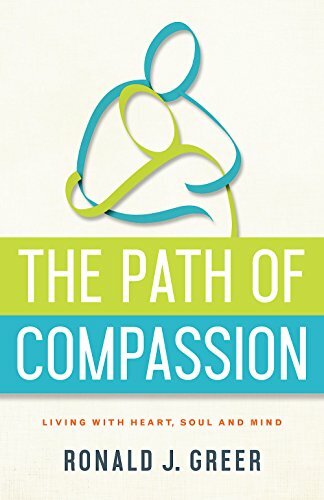 Written by seasoned pastoral counselor, Ron Greer, the study explores the foundational truths of the Scriptures to love God “with all your heart, with all your soul, and with all your mind” and to love “your neighbor as yourself.” Compassion is more than just an emotion or an inspiration or simply an action. Compassion is all three working together in beautiful synergy. It involves a feeling of empathy, an experience of grace, and an impassioned engagement. These are the levels of compassion–heart, soul, and mind. Meeting Instructions: Wednesdays, 4:30 p.m. – 5:45 p.m., Aug. 22-Oct. 17. Trinity Cafe, Chapel building. Andy Roberts – Lynne & Dave Roberts Son – prayers for safety in participating in a 397 mile Bike marathon. Jeannie Ehlers – who was back in Sunday School after her foot Surgery. Welcome back Jeannie! Bev Tatom – on Thursday had her followup visit with the Surgeon, She is right on track in her recovery; And the Surgeon predicts a full recovery! Beverly and Doug want to Thank the Wonderful CUC Class for the Fantastic and Delicious Meals that they prepared and delivered to them!! Thank you, Thank you, Thank you!! Jim Boswell’s voice is returning! and he has an appointment with Cleveland Clinic for further repair of his heart issue. Garlinn & Mike Story – August 28, 1969 – 49 years! Lynn and Jim Adcock – Sep 1, 1967 – 51 years!